How to teach children to have character. 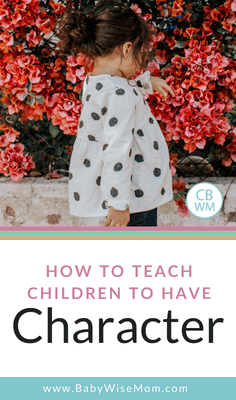 Tips from the book On Becoming Childwise to help you develop character in your child and why you should care about character training. Up until my early days as a parent, I, in my naivety, truly believed that people as a whole desired to be kind to other people and treat them well. Where I live, that is just the way people are. Sure, there are people who are unkind and motivated by selfishness, but the majority of people try to be kind to others and treat others with respect. Then one day in my early mothering years, I was on a parents social networking site–my first time ever. In one group, one woman was basically getting roasted. She was being called all sorts of mean names and being ridiculed. Thinking these women who were being rude had simply lost themselves in the comfort of hiding behind their computer, I stuck up for the lone woman and suggested we all be nice and if we couldn’t say something in a nice way, don’t say it. I pointed out that you can disagree without being rude or belittling. I was shocked at the responses. “That is just the way I am. If she can’t handle it, she should leave.” “I am just a blunt person.” ”I have to be nice to my kids all day; I don’t want to have to be nice here too.” Those are just a few. Wow. I was shocked. I pointed out that I consider myself to be a blunt person, but you can be blunt and tactful. Nope. They weren’t having it. This was an eye opening experience for me. I will point out that I received many personal notes applauding me and agreeing with me. A few brave souls dared to agree publicly. As I have gotten to know these women better, I see that this situation really epitomizes who they are. There are some who are always nice. There are some who just don’t care how they treat others. If they say something rude, that is the problem of other people. They have the “right” and the “freedom” to act as they choose, and it shows in their parenting and parenting advice. That isn’t acceptable to me. 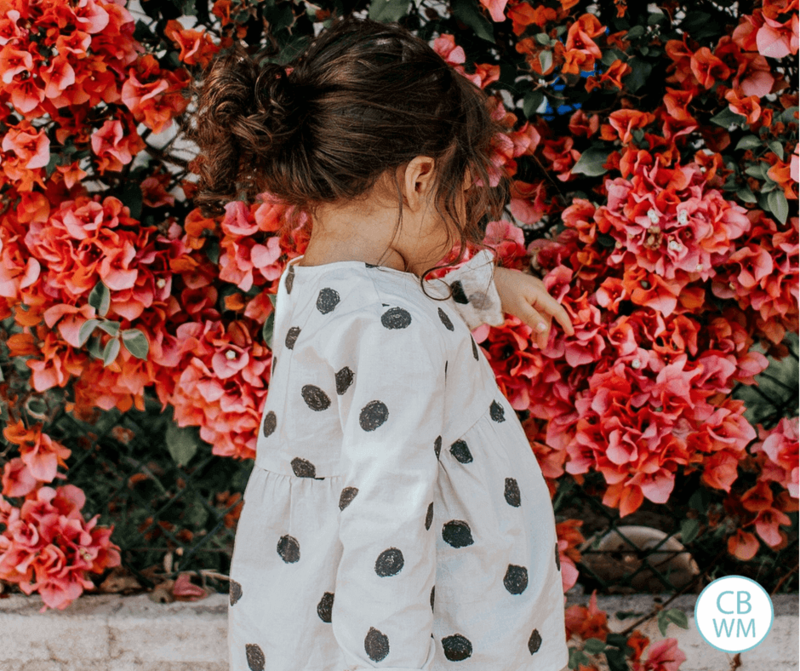 On Becoming Childwise operates under the premise that the readers of the book are the sort of parents who want to instill morality and good character traits into their children. When I first read that over a year ago, I thought, “Of course, all parents would want that of their children.” Sadly, that is not the case. I learned that nine months ago. Childwise points out that without mutual morality, your child might become a bully or a victim. I can easily see this. You can’t expect that other parents are going to be teaching their children right from wrong. You have to teach your child to have character, and you have to teach him to have it in the face of adversity. Often times to stand up for what you believe in means you are standing alone. Very few will have the courage to stand beside you, even when they agree. Good character is attainable, but you must teach it. I believe children have an innate desire to do good, but they need direction from you to teach them what good is. Whether you intend to or not, you are the greatest influence on your child, both by what you do and what you don’t do. You have the choice and the option to raise good children. And we, who care, must stand strong and valiantly. Perhaps our children can have a positive influence over those children raised by parents who don’t think it is necessary to be moral. Each generation finds it more difficult to stand strong and adhere to the morals taught them. It was harder for us than our parents. It will be harder for our children than was for us. The difficulty seems to be growing exponentially. This only strengthens the urgency that we take an active role to teach morals to our children. Children have physical capacities. You must provide food, shelter, clothing and encourage necessary skills for life. We also should teach them how to care for their bodies. Teach them which foods are good for the body. Teach the importance of exercise. Remember, you must lead by example. Children have intellectual capacities. You must stimulate. You must teach your child. You must teach logic and useful knowledge along with basic skills. It is really easy to go throughout the day and do what I call “surviving.” Get from sunrise to sundown with the fewest number of difficulties and conflicts. This is especially easy to do with a child who has been raised on principles of Babywise. They are good kids who generally stay out of trouble. Mom could busy herself with housework or hobbies while the kids entertain themselves. It isn’t enough to simply survive a day. We must be actively engaged in teaching our children. On Becoming Preschoolwise offers many ideas for doing this. Simple structure and routine can help you ensure your child receives the needed intellectual stimulation. Children have emotional capacities. Nurture your child’s emotional well-being. You must help your children to monitor and control emotions. We all get mad. But we work to not get mad. We try to control our tempers. We take control of our emotions. My in-laws were very good at instilling morality into their children. Brayden (my son who is 3) has a short fuse. He can go from frustrated to mad almost immediately. If he is trying to do something and doesn’t get it perfectly the first time (he is a perfectionist), he would throw the item across the room. I have worked with him on this from the age of 12 months when it first cropped up. He is much, much better about it now. I can’t even remember the last time he threw something in anger. My husband tells me he was the same way. He tells me he still works with it. The amazing thing is that I have never seen his temper. He has never even raised his voice to me. He has amazing control over his emotions. We can control our emotions, and our children can also. We also want to teach our children how to control displays of positive emotion as well. Children have moral capacities. Teach your child to internalize virtues that reflect your values and the values of society. Yes, the values of society get more fuzzy as the years pass by, but there are basic societal morals. We must give time and attention to each of these facets. Ezzo and Buckman point out that you don’t want a smart child who cheats. I remember in high school I had a friend who was really smart. She had a perfect grade point average. We were in Chemistry together our sophomore year. She stressed over maintaining her perfect grades. In order to maintain it, she cheated. She ended up being valedictorian. Now, I am one who would have been considered smart (and I hope I still am), but I did not cheat. Yes, it was frustrating to see someone be rewarded for cheating, but I honestly felt sad for her more than anything. I went on to college where I continued to work hard and not cheat. College was not that difficult for me because I knew how to work for my knowledge. I graduated with almost a perfect grade point average, above a 3.9. I was named most outstanding graduate. My name is hanging on a plaque in my department to this day. It all paid off in the end. There is one of these capacities that requires more priority, or first priority. That is moral training. “Moral training provides the objectivity needed for emotions to function freely without overpowering the child” (page 68). When you train morally the right way, you can have a child who is emotionally balanced, intellectually assertive, and morally sensible. Our society needs as many of these people as we can get! Teach your children to do unto others as they want done unto them. To do this, you must yourself behave this way. You must treat others with kindness. You must be honest. If you don’t get charged enough money for something, you go back and pay for it. Almost two years ago, my sister-in-law and I got up early and went shopping the day after Thanksgiving. We went to a store where we quickly got our items and got in line. We then spent the next 3 hours in line, waiting for our turn to check out. If you do your math correctly, you will realize I was pregnant with my second child, Kaitlyn. My back hurt. My everything hurt. When we finally got out to the car, we realized they didn’t charge us enough for one of the movies we bought. With a sigh we went back into the store and spent another hour trying to pay back the correct amount. Needless to say, I have not shopped at that store since, but I knew what was right and I did it, though I admittedly could have done it more cheerfully :). We teach our children that other people matter. Their feelings matter. Their possessions matter. Ask your child if he wants to be treated the way he just treated someone. Think back to when you have served others. Do you feel better about yourself? I know a woman who served others in her lonliest hour. When her mother died, she made bread. She made a lot of bread and delivered it to her neighbors. She felt so much better. She had served others. Take advantage of your child’s young years. I believe the first 8 years of your child’s life provide you with an opportunity to train that you will never again have. Teach and train your children while you are still “cool”—while you are still the center of their universe and have an influence over their every action. You child is like a young sapling in the preschool years. You can direct his growth. Don’t wait until he is a strong tree—you can’t move him then. It takes work, it takes effort, but you can do it and it is certainly worth it. Wonderful post! I am also astounded by some of the personalities you meet online. When William was a colicky baby (just a couple weeks old), before we figured out what was wrong, I got online and asked people about letting him CIO. Based on their responses, you would think I was asking if I could throw him in a pool and let him drown. My goodness, they were so incredibly mean at a time when I was most fragile, a new mom with a colicky baby who wouldn’t stop crying no matter what I did. It’s incredible that you stood in line to pay for the item. I need to be better about stuff like that. Just the other day, I cashed in a coupon for 75 cents and the guy gave me 4 quarters. I should have given it back, but it was in my wallet already and would have caused confusion. I rationalized it thinking it was just a quarter. As my kids get older, I’m more aware of my own moral actions and how they will see them. In general, I’m a rule-breaker. I always question authority and never blindly follow rules. I always need to know the reason for the rule in order for me to follow it. My DH on the other hand, is completely opposite. I suppose we balance each other out, but it does drive me nuts sometimes. It will continue to be a lesson for me though, since my kids will learn from what I do. Those little eyes and ears are watching and listening! Thanks Maureen! It is amazing how much your kids catch. They catch on to things you don’t even realize you or your spouse do! It places an incredible responsibility on us as parents. Very helpful post! Unfortunately, I find that there are many rude and self-centered people commenting on forums, articles and blogs, regardless of the subject. Hello Val,Thanx for this lovely post. it was an eye opening blog. Normally I dont like to criticize others because we must consider that we are all human beings and prone to mistakes if Allah can forgive ours big sins , why we cant we forgive others behaviour. Amy, I will do a post on this, but for now I will say sign language was the biggest help. Also, make sure toys are age appropriate, meaning he can completely control any toys you give him by himself (at least with practice).